Once your Vidyard Account is integrated with Pardot, we want to ensure your Vidyard videos can be shared with your prospects in a meaningful way. Embed the Player on a Pardot Landing Page. Login to your Pardot account. Create a new landing page or edit an existing one. For help with this step, you can check out Pardot's Guide on Creating a Landing Page. 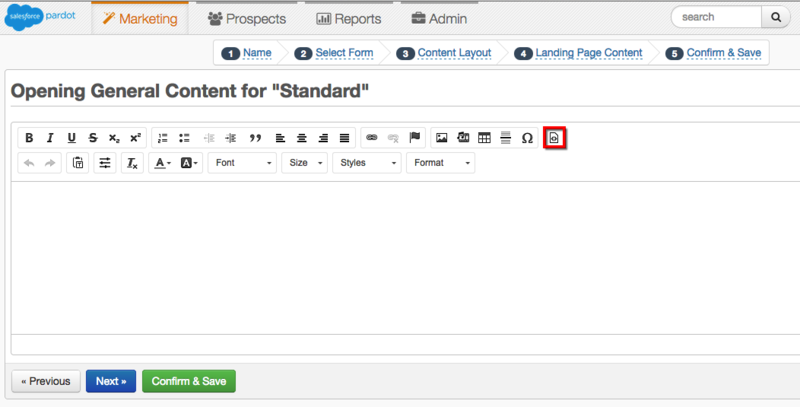 You'll add the embed code for your player in the Landing Page Content step of Pardot's landing page creation process. Click on the Edit HTML button. Paste the embed code for your player. Click Confirm & Save to save your changes. What is a CNAME and how can I use it?